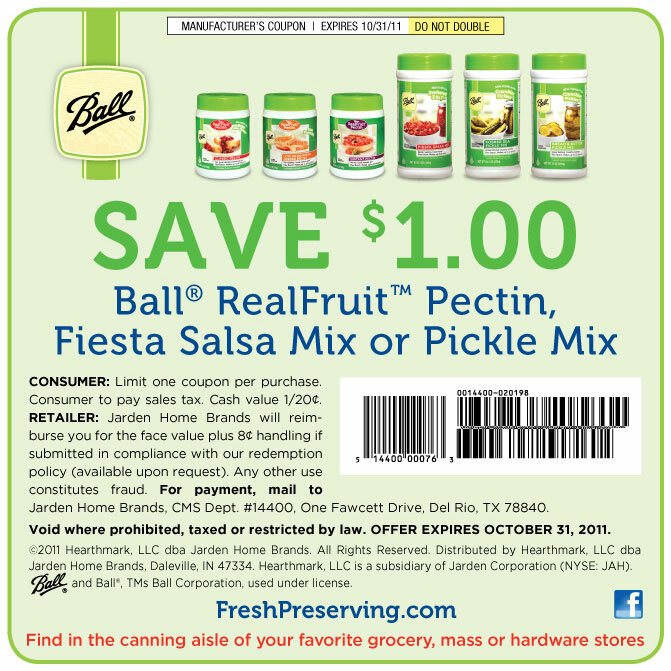 Do you want to save on Ball Real Fruit Pectin Fiesta Salsa Mix or Pickle Mix? Grab this coupon for $1 off your purchase. This is one great deal that you can save with at your local store when you buy.